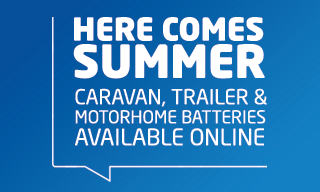 Having a good leisure battery is the key to getting the most out of any great holiday in a caravan or motorhome, letting you get all the comforts of home whilst off out and exploring. 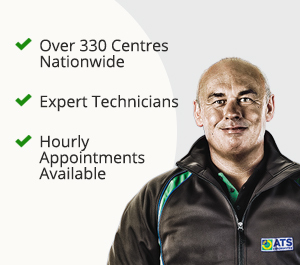 ATS Euromaster offers a free leisure battery check for your caravan and a 2-year guarantee on all leisure batteries bought at ATS Euromaster. Leisure batteries power the electrical equipment on-board a caravan or motorhome including the TV, interior lighting and any other electrical appliances (such as the microwave or all-important kettle). Leisure batteries are different to the car battery you might find in the engine bay of a campervan, which is used to start the engine and provide power to the vehicle itself. As such, your vehicle may need both a car battery and a leisure battery. Leisure batteries are designed differently to the battery you will find in your car, which is designed to distribute large amount of energy in short bursts. By comparison, leisure batteries have more of a 'slow burn' effect, letting off small amounts of power over a long period of time. This means a car battery won't work as well as a leisure battery for extended periods of time. Which leisure battery do I need? There are a number of considerations you need to make when buying a leisure battery, as they do come in a number of shapes and sizes and equally importantly, power output. When it comes to choosing a battery, opting for one with a higher power output could give better performance and last longer. If you plan on staying at a camping site with power outlets, a battery with a lower output should work just as well, however the power provided from these outlets can vary from 5 amps to 20 or more, so a good battery can provide additional power when needed. How long does a leisure battery last? You can work out how long your leisure battery will last on a full charge when using certain electrical equipment by seeing how many amp-hours a battery has. For example: A 12 volt camping television with a 12 volt camping battery rated at 110 amp hours (Ah) would be powered for 110 hours off a full charge. Having multiple appliances running from the battery at the same time will further reduce this time. At ATS Euromaster we offer a range of Platinum leisure batteries to meet your requirements, featuring some of the latest advancements in leisure battery technology which mean you get a longer lasting charge and an easier to user battery. Thick-grid plate technology with glass fibre separators- Increases electrical capacity and deep-cycle capability. Labyrinth lid technology- Allows emissions to be safely exhausted externally from the caravan or motor home. Spill-proof labyrinth lid- Prevents water loss and the need for topping up. Sealed dual post option- for applications where multiple battery connections are required. Sealed low-box option- Ideal where the fitment location of the battery is restricted.